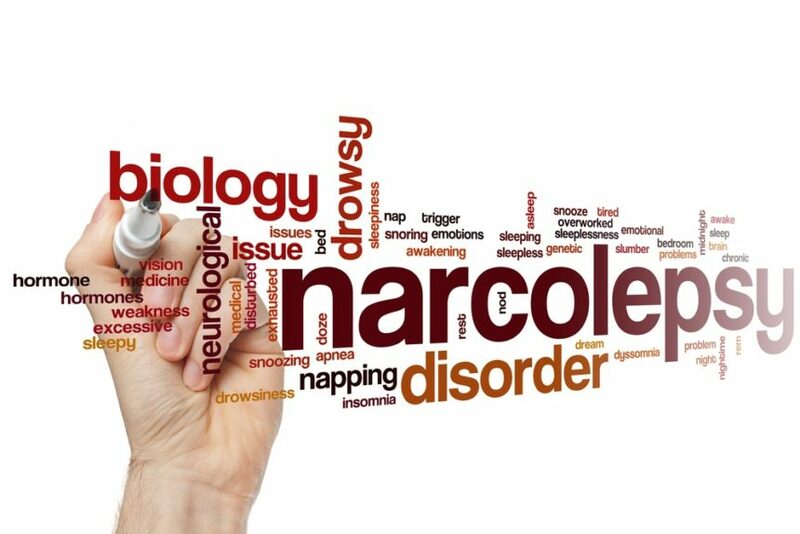 How do sleep medicine physicians define narcolepsy? First, it’s important to note that narcolepsy is one of the less commonly seen sleep disorders. Many people who have excessive daytime sleepiness—who yawn a lot, fall asleep very easily or take unwanted naps during the day—may think they may be narcoleptic, but they’re probably mistaken. It’s far more likely they’re experiencing the symptoms of the more common sleep disorders of sleep apnea or insomnia—disorders that affect millions of Americans. Narcolepsy is far rarer. According to The Narcolepsy Network, this disorder of the nervous system affects only 200,000 Americans (both males or females). Narcolepsy symptoms often begin before the age of 25, but the disorder can strike at any time of life. Because its symptoms can overlap with those of other sleep disorders, epilepsy and even some forms of mental illness, narcolepsy is frequently misdiagnosed for many years before doctors are able to determine the true cause of a person’s symptoms. Speaking of symptoms: what is narcolepsy, exactly? The narcolepsy definition, according to sleep medicine experts, is that it is a chronic neurological disorder that causes the brain to have difficulty regulating sleep-wake cycles. People with narcolepsy enter REM sleep far faster than the rest of us, and they can experience physical characteristics of REM sleep—such as muscle weakness and dreaming—while awake. Essentially, narcolepsy is a nervous system disorder that blurs the line between sleep and wakefulness, creating a set of symptoms that can be highly disconcerting if not alarming for people who struggle with this condition. Narcolepsy Symptoms: Are You Narcoleptic? What are the symptoms of narcolepsy? 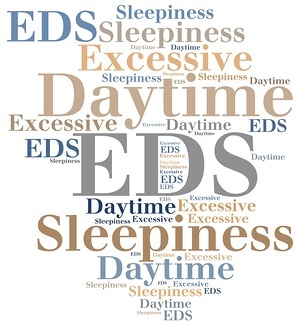 The most frequent complaint, shared by all narcoleptics, is excessive daytime sleepiness (EDS); people who have narcolepsy may wake up feeling rested at first, but sleepiness returns and they end up feeling tired and groggy most of the time, often as if they are constantly fighting off sleep. Another classic symptom of narcolepsy—perhaps the most famous symptom—is the act of suddenly falling asleep at unwanted moments. For example, narcoleptics sometimes fall completely asleep in the middle of a conversation or while driving a car. Also, if they have cataplexy, their bodies can go limp at any time, even while standing, or when they experience strong emotions like laughter, surprise or anger. These sudden “sleeping spells” or bouts of muscle weakness can be embarrassing and dangerous, both to the individuals who have narcolepsy and to the people around them at the time. All these hallmark signs of narcolepsy are caused by a neurological problem regulating sleep-wake cycles. Excessive daytime sleepiness. Chronic exhaustion and subsequent attacks of sleep are the only symptoms shared by all people with narcolepsy. In between these spontaneous naps, individuals may feel awake and alert for a short time. This is loss of muscle tone that occurs while one is completely awake. Attacks can be minor, involving slight muscle weakness, or more pronounced, leading to total collapse. Symptoms can include drooping eyes, a slack jaw, and suddenly going limp all over, including arms, legs, and torso. Individuals may find themselves unable to move until the spell ends—usually within a few minutes. Cataplexy can be terrifying the first time it happens, but it’s not dangerous if one can get to a safe area to sit and rest until the weakness has passed. Muscle weakness, especially when excited, angry, or laughing. Sleep paralysis. Inability to move or speak in the few moments right after waking or just falling asleep. Sleep paralysis can last a few seconds to a few minutes. Fragmented sleep and multiple nighttime awakenings. Hallucinations or vivid dreaming while awake. Narcolepsy causes are not fully understood by the medical community. However, more research is being done every year on the reasons and factors that contribute to this rare condition. We do know that most forms of narcolepsy are caused by a low level of a brain chemical called hypocretin, found in the hypothalamus, that regulates sleep. There are three main types of narcolepsy. Type 1 narcolepsy. If you have cataplexy, you have what’s called Type 1 narcolepsy. We know that Type 1 is caused by a decrease of hypocretin, the chemical responsible for regulating sleep-wake cycles and alerting the brain to keep you awake. Damage or destruction of the cells that create hypocretin (located in the hypothalamus) leads to a plunging level of this chemical. Lower levels of hypocretin mean your sleep cycles are irregular and you struggle to stay awake. Type 2 narcolepsy. If you do not suffer from cataplexy or weakness brought on by emotional changes, then you may be diagnosed with Type 2 narcolepsy, which is notable for its less severe symptoms. Your hypocretin levels will be normal in this case. Secondary narcolepsy. If you’ve sustained an injury to the hypothalamus due to illness or a head injury (such as a brain tumor), you may have narcolepsy symptoms and other neurological problems. Autoimmune disorders. With autoimmune, the immune system triggers the body to attack its own tissue. In some cases, the immune system may attack the specific cells in the hypothalamus that contain hypocretin. In rare situations, narcolepsy with cataplexy may have a hereditary component. Researchers believe up to 10% of individuals have a family member with the same condition. Brain injuries. Rarely, narcolepsy results from traumatic brain injury, brain disease, or tumors. These conditions may damage areas that control wakefulness and REM sleep. To get an accurate diagnosis of type and to find out what causes your particular form of narcolepsy, you’ll need to undergo a clinical exam, keep a sleep journal that tracks your symptoms and habits, and take a narcolepsy test conducted by a sleep physician. If you have cataplexy, your sleep medicine physician may also wish to perform a lumbar puncture in order to test your cerebrospinal fluid for hypocretin levels. Narcolepsy treatment can include a combination of lifestyle alterations and medications. Behavioral change may help to manage the condition, especially if you show an intolerance to medication, or if medication is ineffective. People with narcolepsy can also join support groups, talk to a therapist, consult with sleep professionals about sleep strategies and hygiene, communicate their needs to coworkers and family and establish safety protocols so they can protect themselves if they feel a sleep attack or cataplexy coming on. Currently there’s no cure for narcolepsy, but you can manage it. The first step is diagnosing it. If you or a loved one is suffering for you think might be narcolepsy, please contact Sweet Sleep Studio in Kansas today at (913) 221-6059. Dr. Abid Bhat is a sleep medicine expert and can accurately diagnose and treat those with this condition.